Home hair treatment What Is Non-Surgical Hair Replacement? Male pattern baldness is a very common hair issue today. Thankfully, today a number of solutions are available for hair loss. Depending on your choice and preferences, you can either choose surgical or non-surgical solution for your hair loss problem. In general, people these days prefer non-surgical hair replacement over surgical solutions, as it provides easier and reasonable way to cover baldness. Through its high-end technology, you could now get that natural look you have always dreamt of. What is the process of non-surgical hair replacement? So, you want healthy, bouncy hair back on your head, but without going through any surgery? Why not do a little research about non-surgical hair system for men. As of now, non-surgical hair systems can bring out a natural and refined looking hair that gives you the desired look. When you say ‘hair patch’, it refers to a certain part of your hair made to replace your lost hair. Normally, high-quality hair system is specifically customized and made to fit your head with the help of 100% human hair. For men out there, hair patch could be located on the crown down to cover-up male pattern baldness. In this treatment, a membrane is applied on the scalp filled with natural hair. When it is fixed on your scalp, it could easily blend along with your natural hair to give a natural look. With that, the hair on the membrane will be matched to your existing hair in terms of color and thickness. Modern bonding materials are used to attach these systems; as a result, you can feel confident about wearing it. Depending on your hair loss situation, preference and budget, you should know that there are a number of options to get that natural-looking hair to hide baldness. Moreover, the quality and price will depend on your hair texture, type and the way it will be attached, the base you chose and the way it will be serviced and maintained. Due to the huge rate of hair loss problem today, hair replacement is not a new thing. Previously, it was only an idea that thinning hairline happened due to aging, Therefore, before proceeding to any particular hair treatment, you must know the difference between surgical and non-surgical hair replacement. 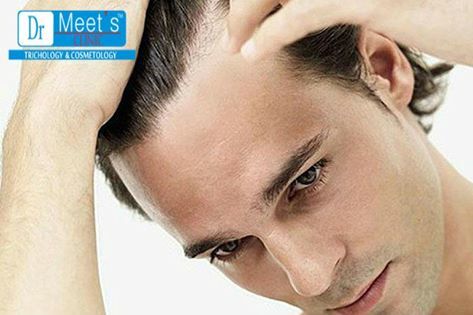 While non-surgical method can’t regrow your hair, this can significantly assist reduce any visible baldness. The hair piece or hair system that uses either synthetic hair or human hair, serve a great solution. People usually prefer hair system with 100% human hair, as they give more natural look. For more details about hair piece or hair patch for men, feel free to contact us.